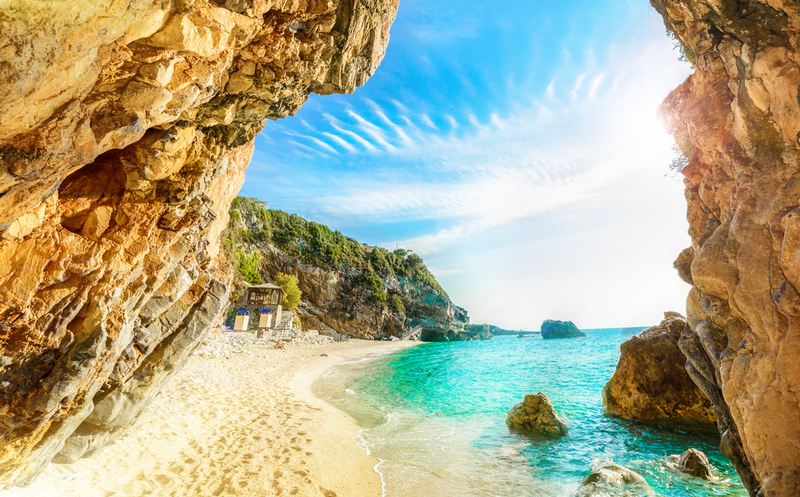 Villa Aris is located in Nissaki on the Greek island of Corfu. This detached vacation rental property is air-conditioned and sleeps up to 4 people with 2 bedrooms, 2 bathrooms along with private swimming pool and sea views. The villa is walking distance to the beach. The villa features a lounge, kitchen, dining area, 2 bathrooms with shower, 1 twin bedroom and 1 double bedroom. Villa Aris can sleep up to 4 people. Occasionally the owners stay in their own entirely separate accommodation below the Villa. They do not share any of the villa facilities and they have their own separate access. We had a wonderful time staying in Villa Aris. The villa was perfect with beautiful unspoilt views of the Mediterranean sea and the coast of Albania. The owners of the villa were fantastic, keeping the house and pool immaculate during our stay, and the gifts of fruit, ice cream and wine from Amelia were gratefully received. We would definitely recommend. Overall we had a great holiday with luckily very nice weather. 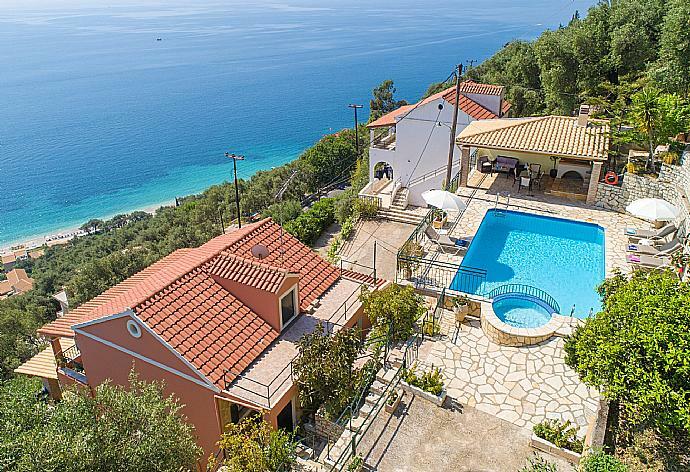 The property has an unbeatable view over the sea ranging from the Albanian coast to the town of Corfu and further. Amelia is a very friendly host and brought us some delicious Greek wine olive oil and snacks. Communication with Agni travel was fine. We have been to this area of Corfu a number of times in the past and thoroughly enjoyed our holiday. The online booking arrangements worked very smoothly and the Villa was immaculately clean on our arrival. Special mention should be made of Amelia who came in to clean and change the sheets etc. She was absolutely wonderful and a real treasure - always extremely friendly and helpful frequently appearing with little gifts of food and drink and keeping everywhere beautifully clean.The pool was excellent and the sun loungers particularly comfortable. We would certainly recommend Agni Travel to anyone and plan to come again. We had a fantastic holiday. The organisation from Agni and EOs was excellent and we would definitely book through you again. Enjoyed our stay in this pretty villa. Particularly enjoyed the choice of places to eat either on the outside terrace or up by the pool. Loved the outside lighting by the pool at night. Enjoyed many a late night our early morning dip Had some great BBQ's up by the pool. I enjoyed my tranquil swims and the quiet first thing in the morning. Fantastic view of the beach and sea from both terraces. Very pretty gardens surrounding the villa and pool. The owners were so helpful and thoughtful bringing us small gifts each day produce from their garden and some home made tatziki. Would definitely recommend. We thoroughly enjoyed our holiday in Corfu. The Villa was great and Aimilia was very friendly and helpful on our arrival and in the week when she came to clean and change the linens. Everything was as expected and we were very happy with the villa. Sitting eating breakfast on the covered terrace felt like you were floating over the ocean and the small pool was great for our toddler. An attractive property with everything we needed. Everything was as described and its even better in real life. Villa Aris was booked Yesterday!